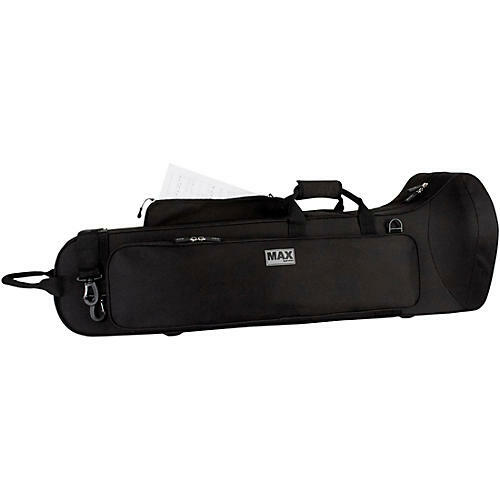 The MAX Tenor Trombone Case is a great value case that offers lightweight protection with a simple, yet functional appeal. The case features a tough nylon exterior, soft plush lining with a mold that can accommodate both F-Trigger or Straight tenor horns, slide area secured by hook 'n loop strap, and 2 interior compartments for mouthpieces and accessories. 38" x 13" x 12.5"